Is my sweet Truffles something else or what??? I had NO IDEA what she was planning for my birthday! I've been obsessed with the idea of sponsoring a shelter cat for a couple months so I could not have been more delighted. (How on earth did she think she would be in trouble?) We received 46 comments and are currently in the process of sponsoring TWO kitties from PAWS of Connecticut...we can't wait to introduce you to our new friends! Our giveaway winner is...Caren & Cody from Cat Chat! Ironically, we just learned yesterday that we won a giveaway on their blog for a box of kitty litter so that was a wonderful surprise too. We can't wait to meet the cats you're sponsoring! Sounds like a great day and efurrybody was a winner. Aaaaaaw Those awe sum gweat cawds Miss Melissa. And weez can't wait to meet yous new sponsored furmily membews. :) What a gweat Meowday purresent. Glad ya had a good birthday! 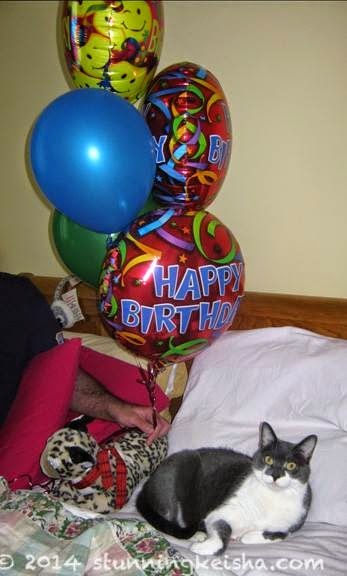 What a purr-wonderful birthday you had!! What a lot of great birthday wishes! So glad Melissa had the wonderful day she deserved. Happy Birthday. We look forward to meeting the kitties you'll be sponsoring! What a great way to celebrate your birthday! Glad the commentathon was success! Such lovely cards! I shared my cards in today's post too...great minds must think alike! I am so glad you had a terrierific birthday! 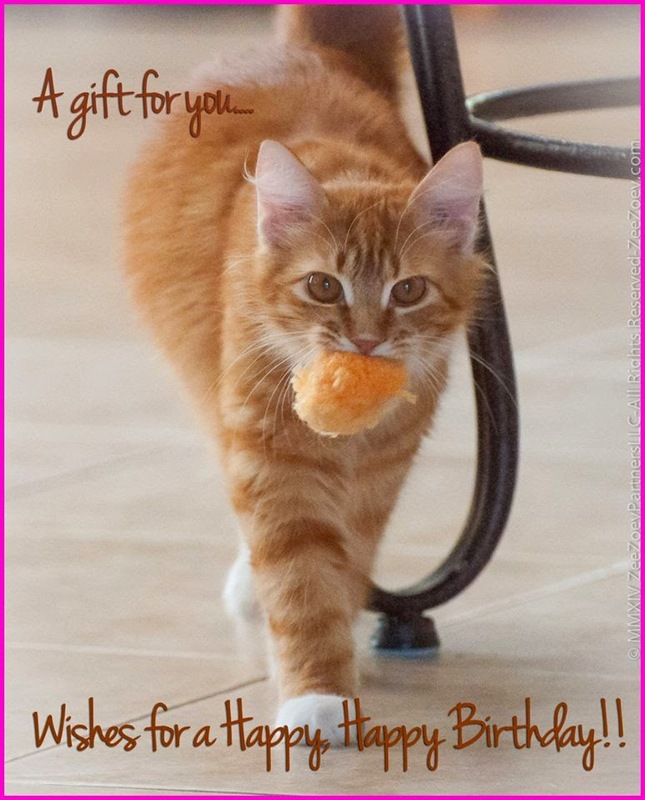 what a wonderful gift to sponsor two kitties!! You have had some lovely cards on your birthday and we'd like to wish you a Happy Birthday. That's wonderful and Happy Belated Birthday! Sounds like you had a great birthday!!! How wonderful that you are sponsoring 2 kitties at PAWS. Love all the cards you got! Sounds like you had a WONDERFUL birthday. Excellent. THANK YOU both for thinking of the PAWS kitties. I'm so excited to hear who you'll be sponsoring -- they are both terrific (and so are you two). Concats to Caren. Glad you had a nice birthday. Can’t wait to see the new fur children. Glad your birthday was a good one! Sweet kitties! Congrats on everyone's wins! And happy birthday!! Hey... is there liver in the cake? I like liver cake. - Crepes. Concatulations to the winners! And wes knows them all and Happy Birthday!!! 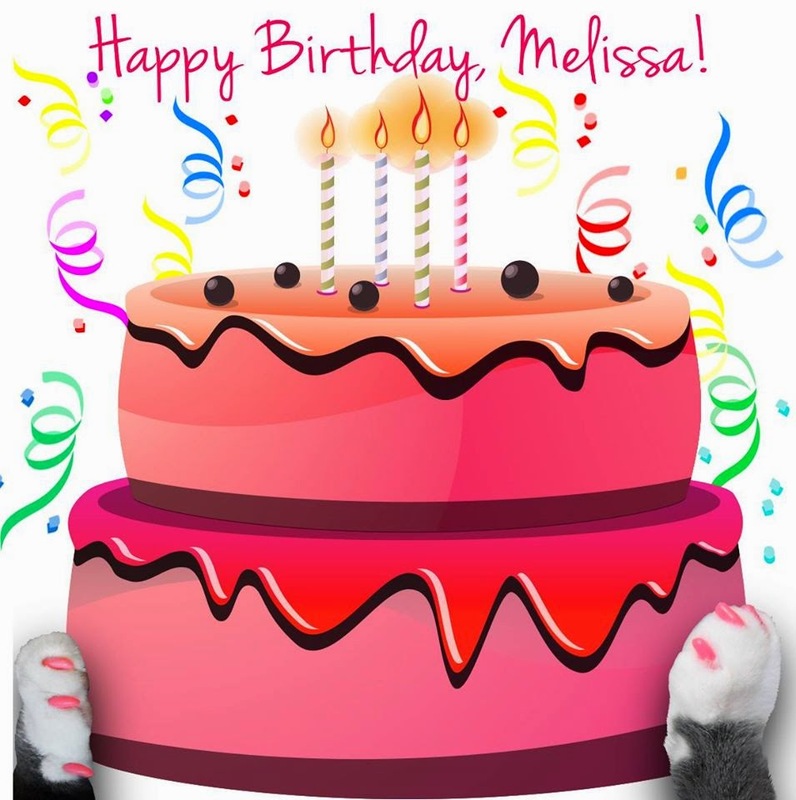 Happy Belated Birthday Melissa! 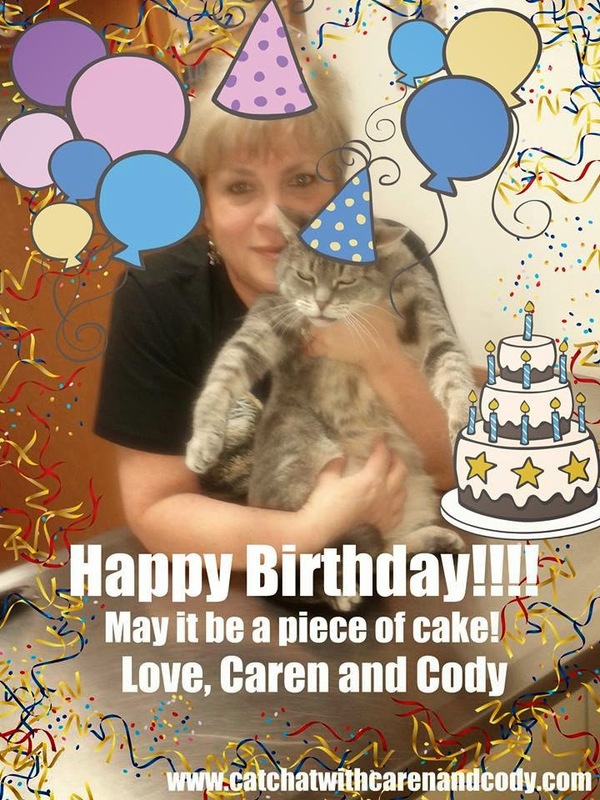 We are so sorry to have missed your Birthday Commentathon but are happy to hear that you have sponsored 2 kitties from PAWS that is so special. We wish you a wonderful year filled with many, many blessings!